What did Pangea, the ancient supercontinent, really looked like? 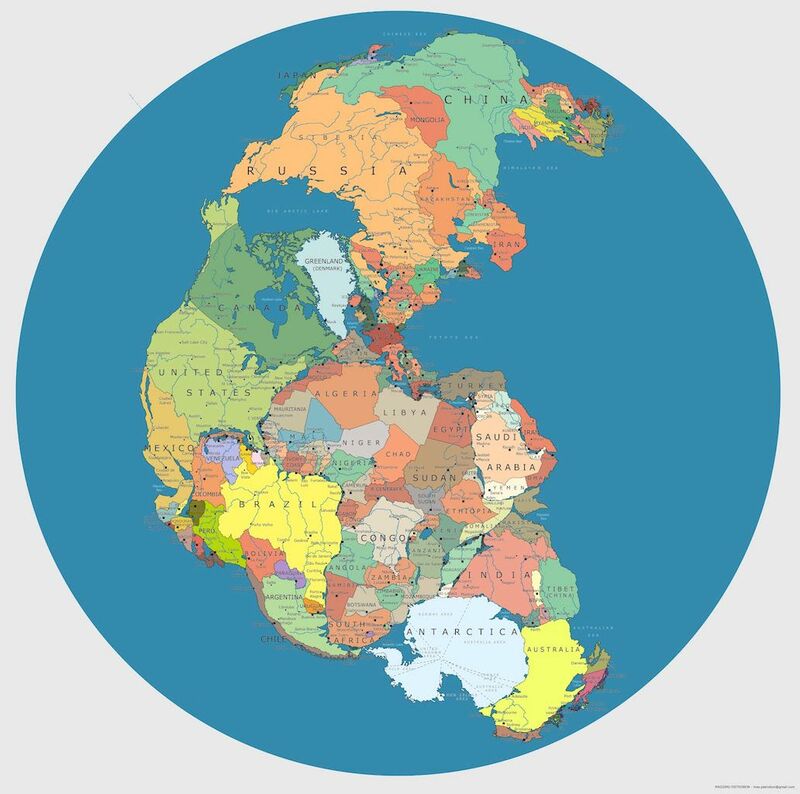 240 million years ago, Earth did not have seven continents (or eight if you count Zealandia), but one supercontinent called Pangea, which was surrounded by one ocean called Panthalassa. About 200 million years ago, Pangea began to break up because of tectonic activity and the pieces moved far away from each other — the world as we know it today started to take shape. Reddit user LikeWolvesDo, used a map of the ancient supercontinent Pangea and drew our current international borders on it — the result is rather fascinating. Greenland and Portugal were once neighbours, India was stuck between Madagascar and Antarctica, and Florida was a hop, skip and a jump away from Guinea. It’s important to note that the map of the world as we know it with seven (or eight) continents will not remain the same. According to Live Science, “Right now, for instance, Australia is inching toward Asia, and the eastern portion of Africa is slowly peeling off from the rest of the continent.” Another supercontinent is likely underway. To be able to zoom in on the map and see more details, click here.